It's been so hot here in southern California that I haven't even had much of an appetite.These salads just looked so cool and refreshing that I just had to share them with you! Place a layer of greens on 4 salad plates. Top each evenly with the blackberries; drizzle with the glaze. Top with a scoop of cottage cheese. Sprinkle with the almonds and dried cranberries. Line a large oval platter with lettuce leaves. 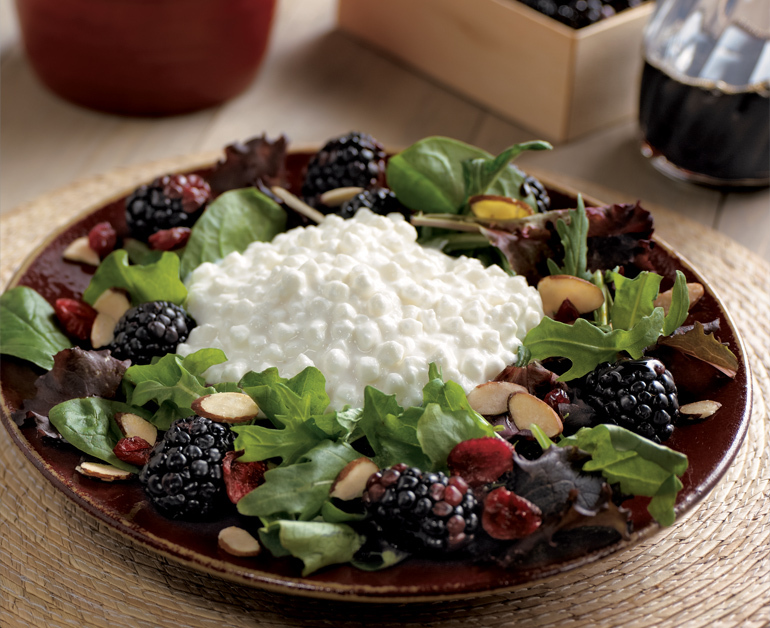 Spoon the cottage cheese across center of platter. 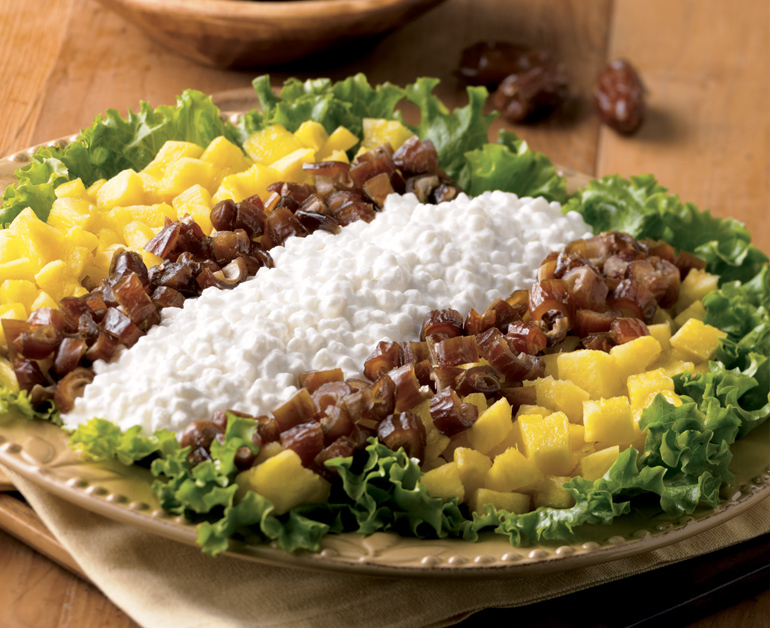 Spoon the pineapple evenly at each end of platter next to and slightly overlapping the cottage cheese. Spoon the dates between pineapple and cottage cheese, slightly overlapping each.